The project À tous les clandestins is about the contemporary phenomenon of migration, focusing on the route from the western African coasts to the Canary Islands. 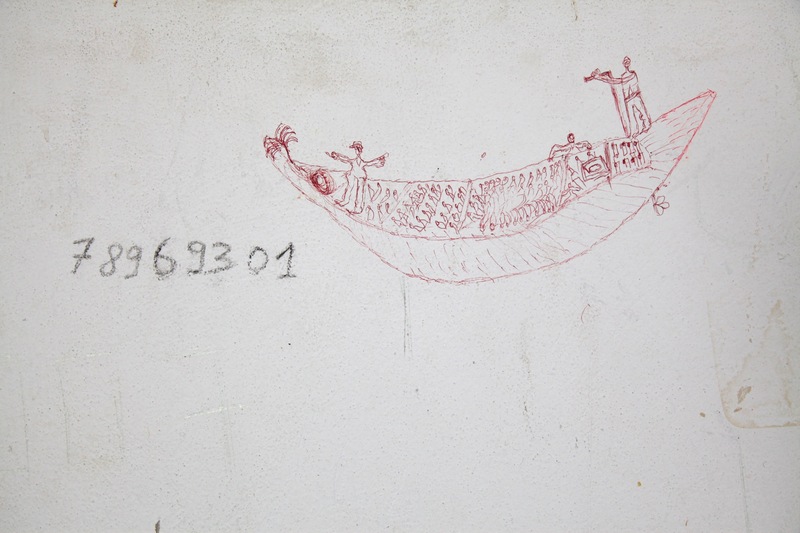 The project documents and rescues, through wall printing, photography and video, the written traces left by men and women in transit on the walls of the immigration detention centres where they were held. The project is in honour of their memory. Based on their experience in relation to this project, we will talk with Patricia Gómez and M.ª Jesús González (artists), David Pérez (professor at the UPV), Emilio Martí López (filmmaker) and Sara Verdú Vila (Valencia Acoge, CIEs NO campaign) about art, cinema and migration. Patricia Gómez and Mª Jesús González (Valencia, 1978). Since 2002, they have been working as a team developing projects that seek to rescue the memory of places in process of disappearance or abandonment. This rescue is based on the recording of the traces of time and human experience conserved on the walls of their architecture. This recovery is carried out by tearing off the mural layers on the wall, and through photography and video. In 2008, they focus their work on the documentation of the traces printed on the walls of places of reclusion and deprivation of liberty, intervening in deactivated prisons and immigration detention centres.